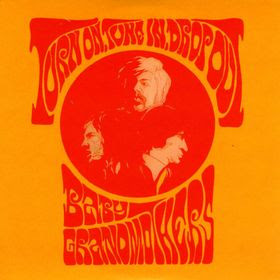 "Baby Grandmothers were a short-lived Swedish band, but one of the most prolific and unique psychedelic, modal, experimental power-trios to emerge out of the Scandinavian psychedelic underground-scene in 1967. Recommended highly for all fans of raw psychedelic, reactive improvisational imaginative rock music, and also those interested of original 1960's Swedish "Prog" scene. Great post! This is the bonus CD that came with the "Encyclopedia of Swedish Progressive Music 1967-1979", so grab it people and then explore the rest of "The Movement" as this genre has been called. The scene melded folk, jazz and bizarre experimental stuff in too, and it's a whole musical universe unto itself. ...which reminds me--any chance to post the impossibly rare Carsten Regild LP from the Swedish "Movement" period?